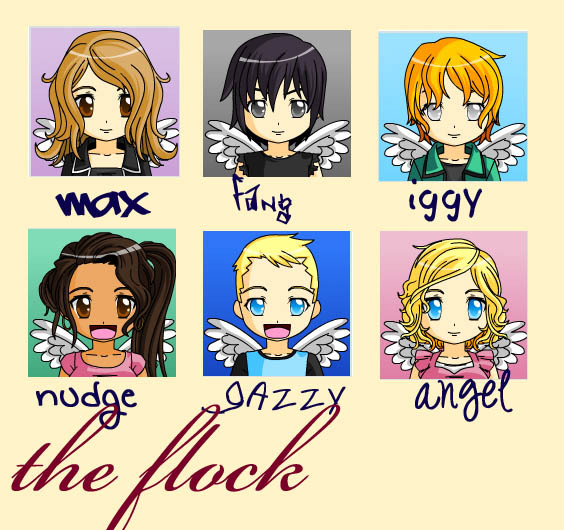 The Flock: Chibi/Anime Style. I made the flock, chibi style! They're so cute! :DDD. Wallpaper and background images in the Maximum Ride club tagged: maximum ride anime chibi flock. Thank you for not including Dylan in the flock. Because if Max says he is not in the flock, he is not in the flock. Angel can write her name better then Gazzy! Haha!